There are hundreds of reasons to book your next dining experience at Rustica, however here are 10 really good ones for a start! Rustica’s food is all made with fresh ingredients and fresh to order. All our steaks are prepared with house made steak seasoning and finished under a 1500-degree broiler. Come for daily lunch or dinner or weekend brunch and you will not be disappointed. The legendary Rustica Date Night menu is back this winter. Available daily from 5pm to 8pm; we offer a 3-course menu for two people including a bottle of wine from our Sommelier Select list – $129 per couple. See full date night menu here. Brunch is an all-around favourite meal, so naturally we brought it to Rustica. From 11am to 2pm on Saturdays and Sundays, our Executive Chef, Laura Hansford and her team will be serving up a cold brunch buffet and a la carte menu. Start your meal off with a $6 Mimosa or Caesar and then head on over to the cold buffet display to create the perfect starter – cheese board, cocktail shrimp, homemade scones, cured meats, fresh bread, yogurt parfaits…plenty of options! To satisfy those traditional brunch favourites, order as much as you’d like from the À la carte menu. Make sure you bring your appetite! By choosing local, we choose to support local businesses in the Bow Valley. We support the following businesses: Bow Valley BBQ, Valbella Meats, Canmore Brewing Company, Wildlife Distillery & many more! Not only do we offer a fantastic meal, terrific service and relaxing ambience, you also get a beautiful view – all year long! It doesn’t matter what season you choose to visit Silvertip Resort! Vegetarian, vegan, gluten-free and of course our carnivorous friends. We have something for everyone on our menu. See all of our menus online. 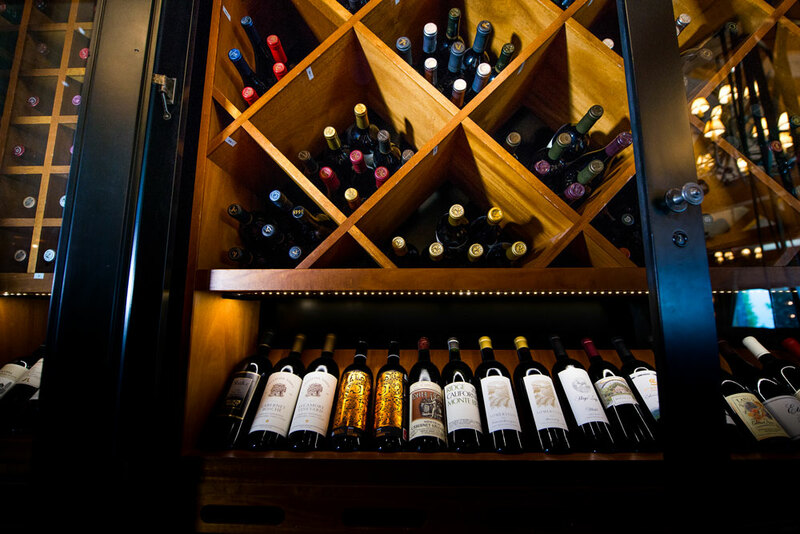 From A to (N)Z…Silvertip Resorts’ wine list is beyond your imagination. With over 1000 labels, there is something for everyone and at every price range. Advice is readily available with our knowledgeable staff and in-house sommelier. Here are just a few to tickle your taste buds… Chateau LaTour-1996, Krug Grand Cuvee, Montes Purple Angel-2004, Laughing Stock Syrah, Osoyoos Larose, Vega Sicilia Reserva-2005, Joseph Phelps Insignia-2005, Dominus-1994, Heitz Cellars Cabernet-1991, Joesph Phelps Baccus-2000, Cakebread Napa Cabernet-2013, Penfolds Grange-1999, Val di Suga Brunello-2001, Gaja Barberesco-2004, Chateau Rothschild Lafite-2005. Once word gets out that we have been hiding these little gems, they will go fast. So book your reservation today! Celebrate a birthday, girls’ night out, anniversary or a solo meal. 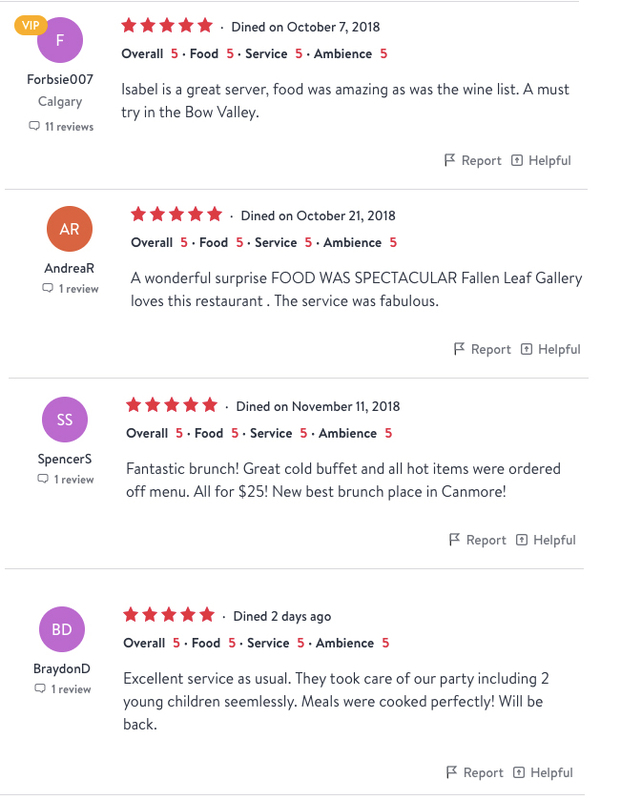 You can make your reservation online with Open Table or call the restaurant at 403-609-6701. You won’t regret the drive up the hill!